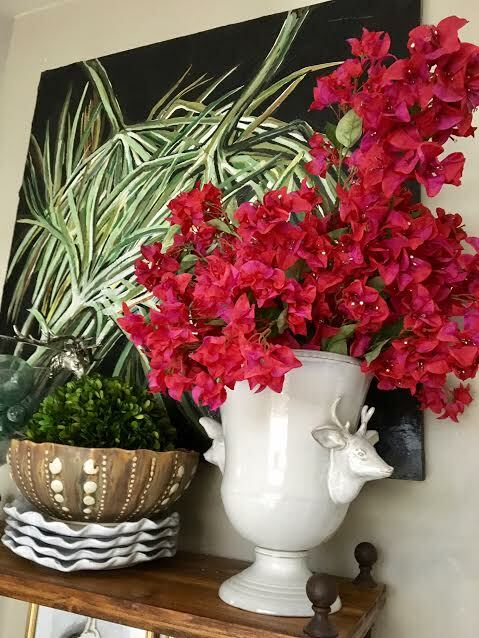 I love the vibrant, summery color of these bougainvillea blooms. 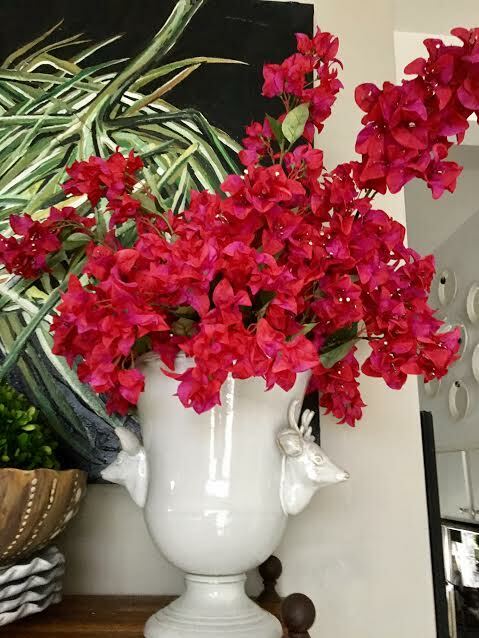 Bougainvillea is one of the showiest vines you can grow. 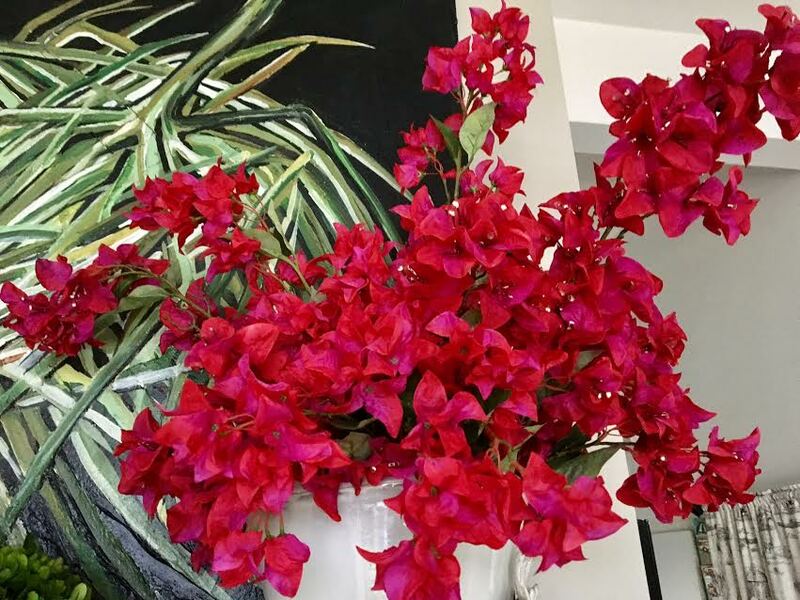 The large plant practically smothers itself in big clusters of papery bracts. These bracts appear in bold shades of pink, lavender, red, gold, or orange and create a display you can see a block away. But the blooms in my home are faux, quality faux that I picked up earlier this spring at Hazelnut on Magazine Street. The color transitions beautifully to the summer months. 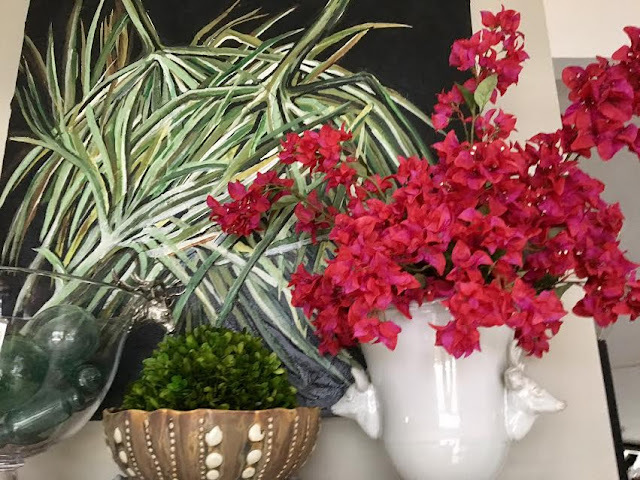 How does your bougainvillea grow? Aren't the amazing I love them too. Such a pretty bouquet. Those have a really pretty flower. They don't grow up here but they remind me a bit of azaleas. Have a great weekend Ron! Gorgeous faux's!! Love the color. I remember the walls covered in it out in Cali. I cannot believe those are faux!! Gorgeous. Can't believe they're not real! Very pretty, and if I could grow them, I would. But, you know, Ohio. I love visiting the South to see all the special things that don't grow here! Love the vibrant color. 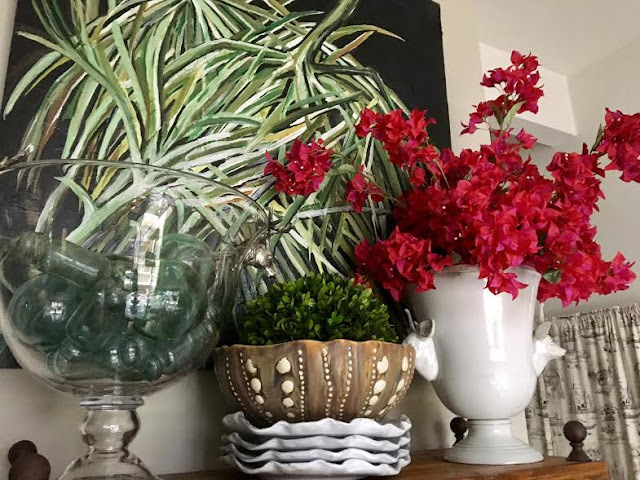 I love faux flowers. The way they make them now they look so real. Happy Summer my friend. Hope you are enjoying your break.